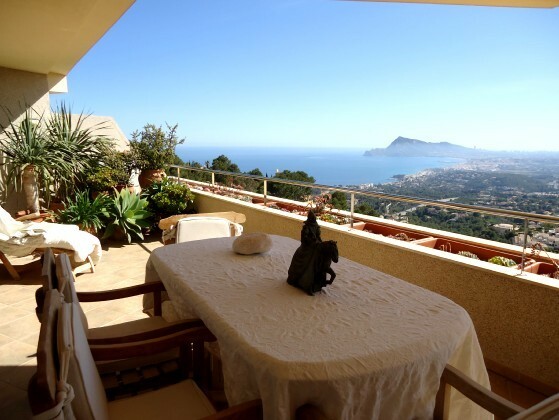 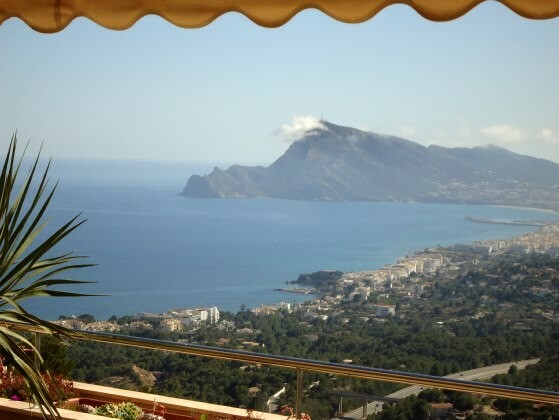 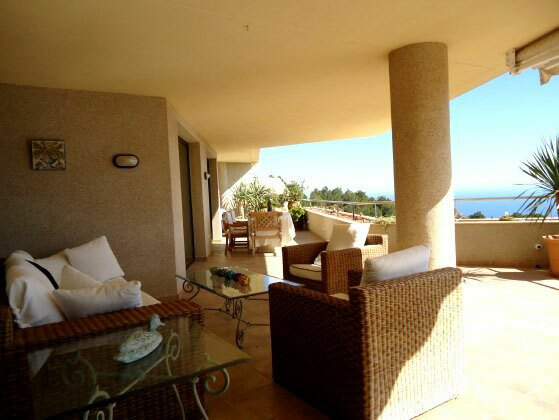 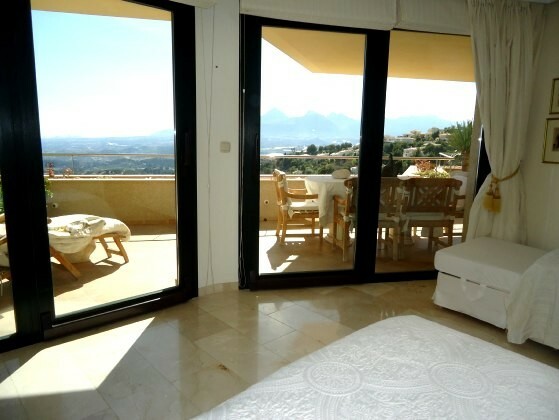 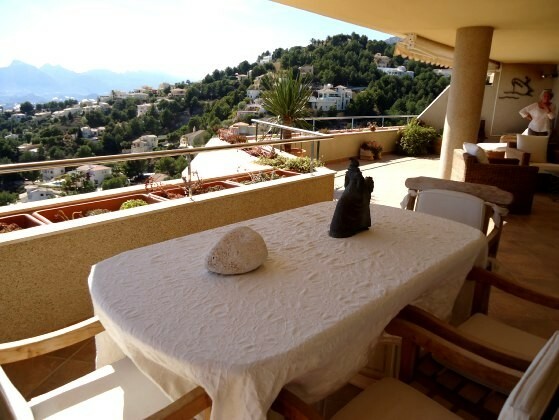 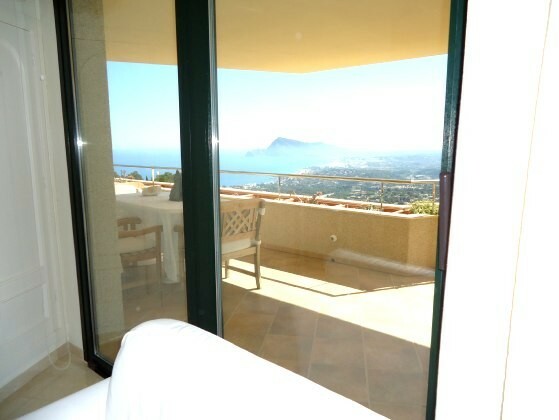 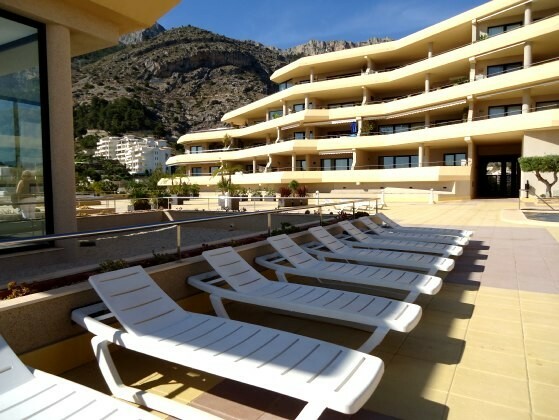 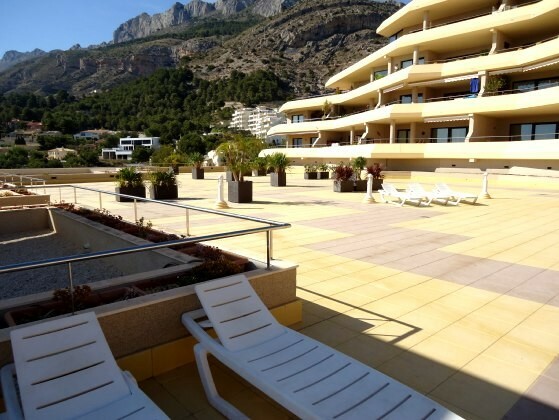 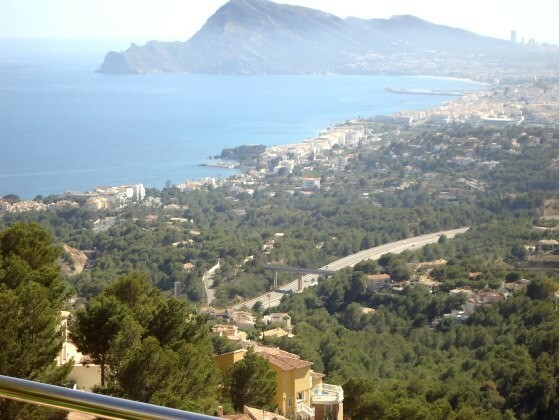 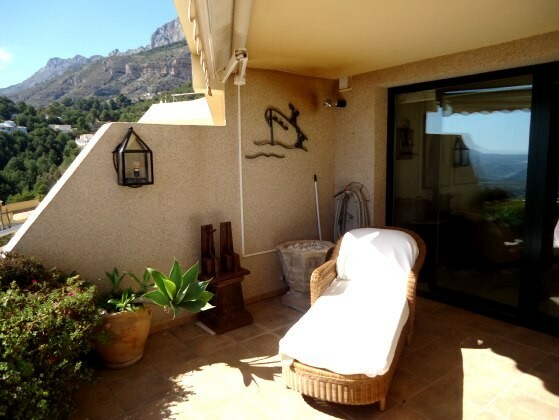 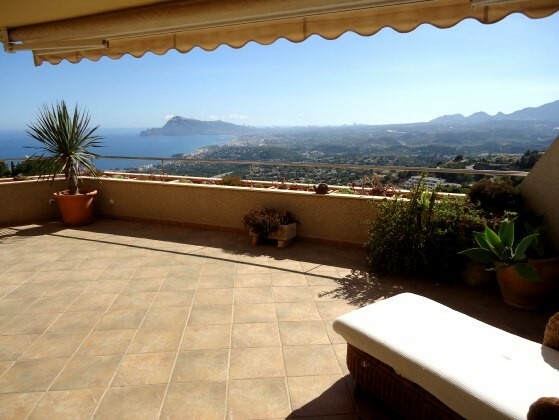 A view from you bedroom and terrace, you will never forget - Rent,a,House,Spain, holiday, bookings, Altea,La Vella,, Albir, Calp(e), Moraira, Javea, Benidorm, Alfaz del Pi, La Nucia, Alicante, Valencia. 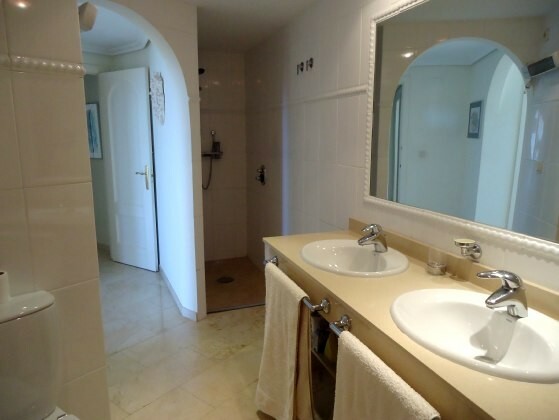 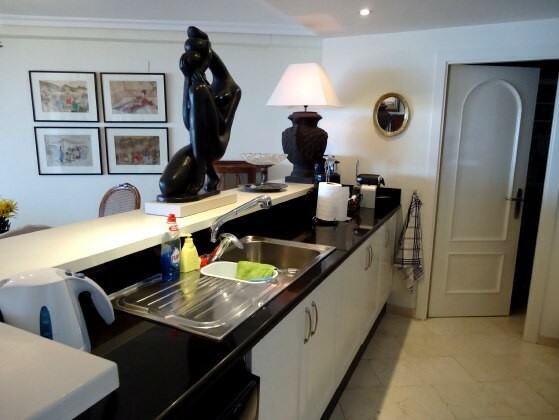 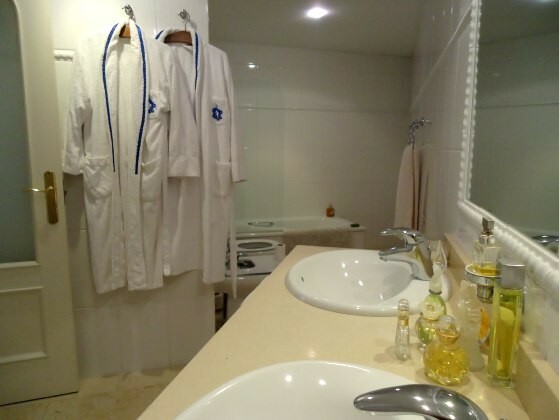 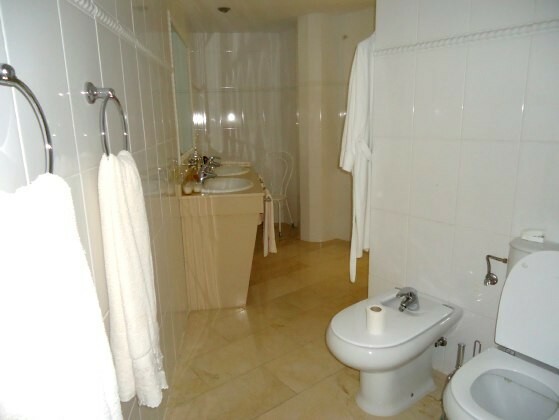 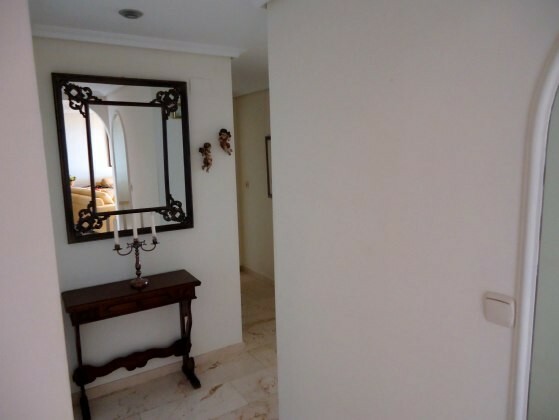 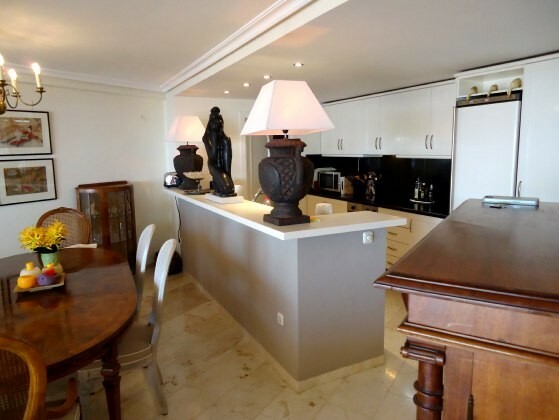 A comfortable apartment close to everything, beaches, amusement parks, hiking, water sports, harbours, golf course, restaurants, shopping malls and anything else you can think off. 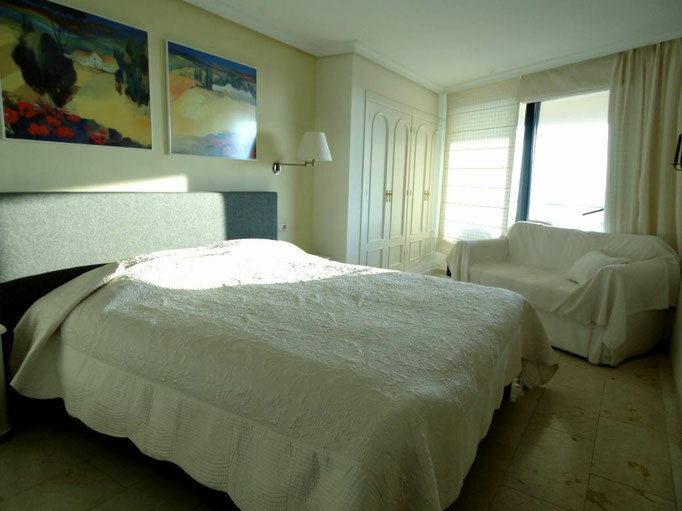 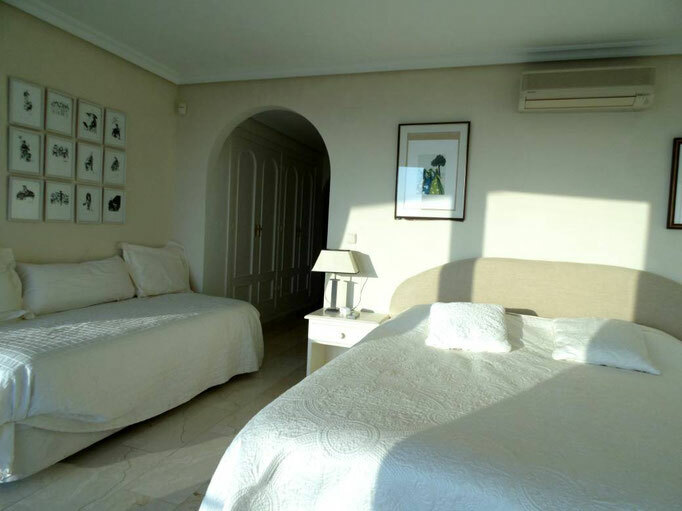 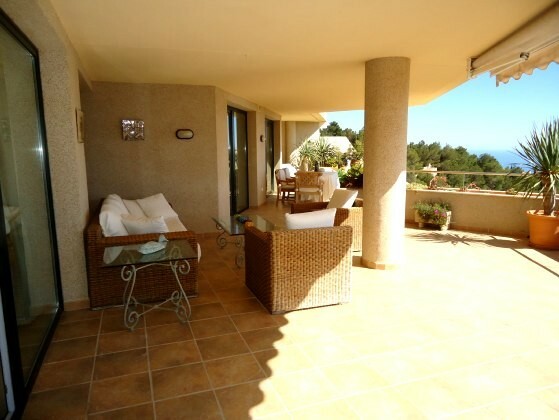 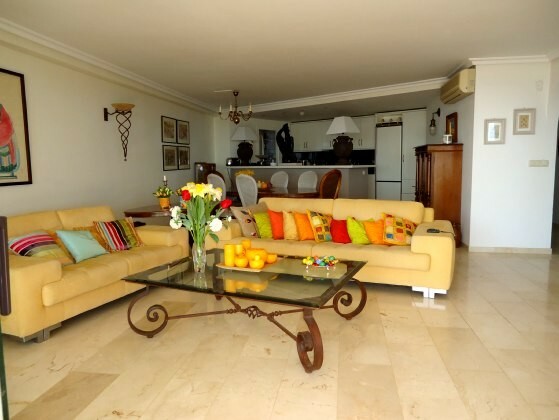 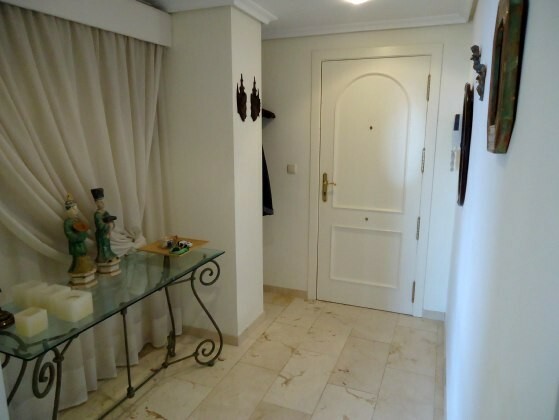 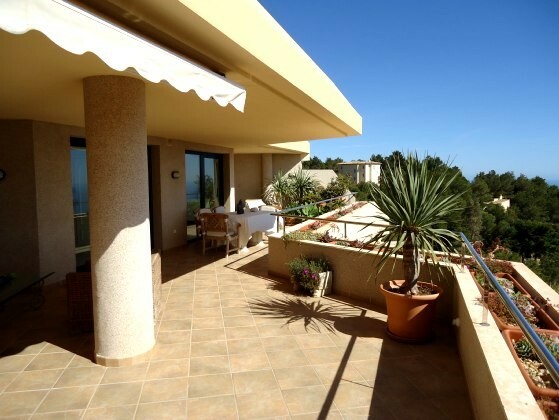 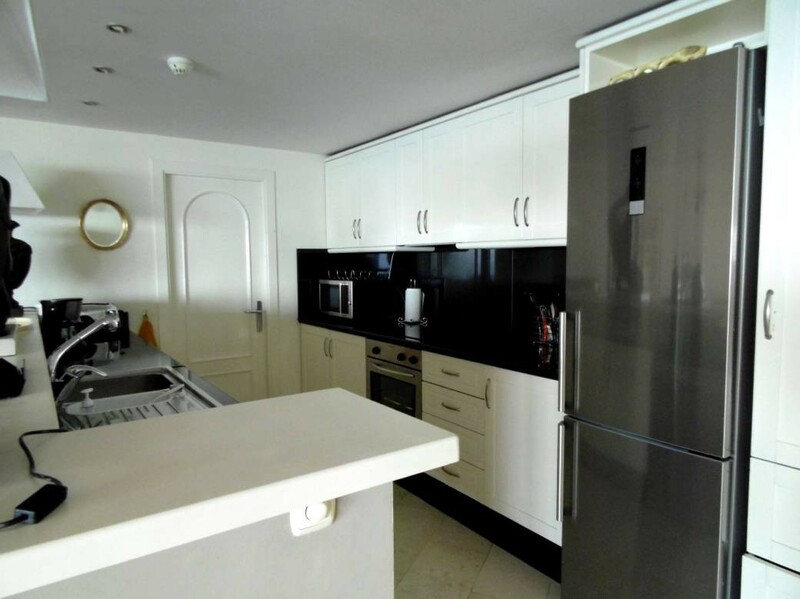 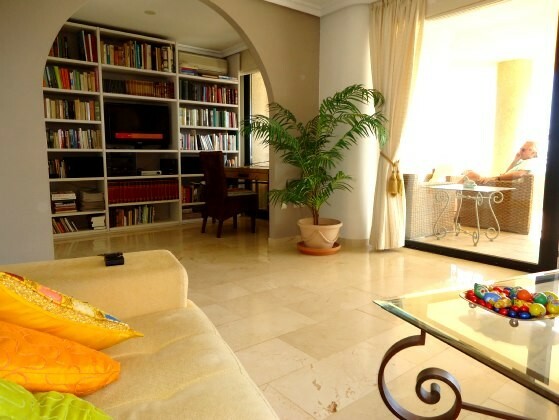 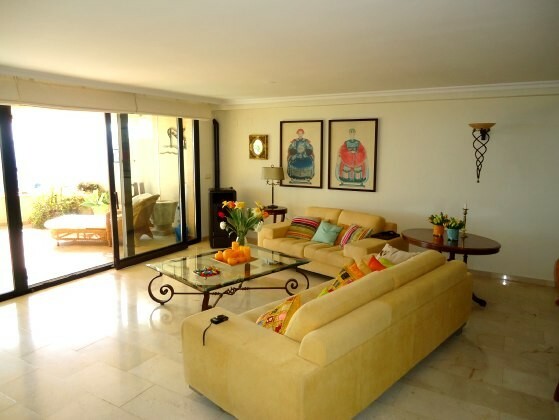 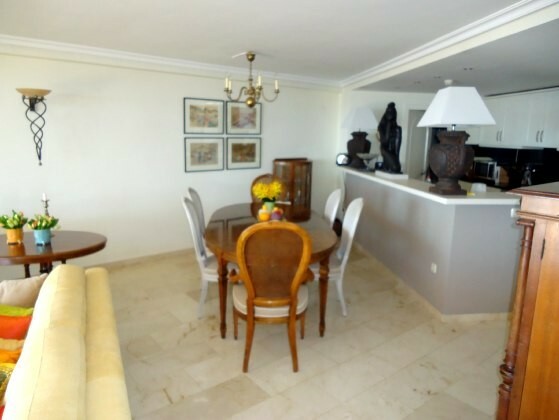 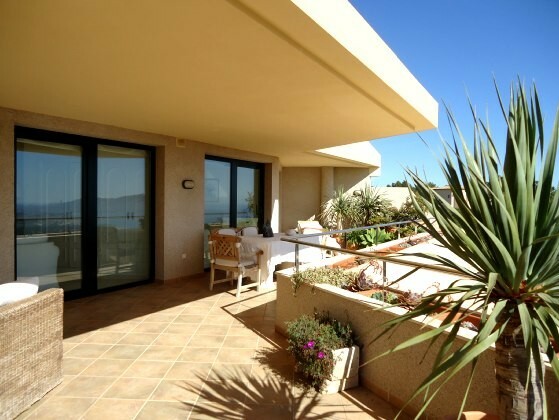 This apartment has 2 big bedrooms both with entrance to the terrace, one bedroom with a double bed 180 x 200 cm. 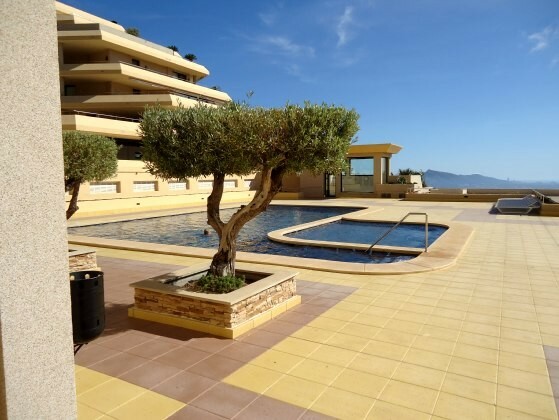 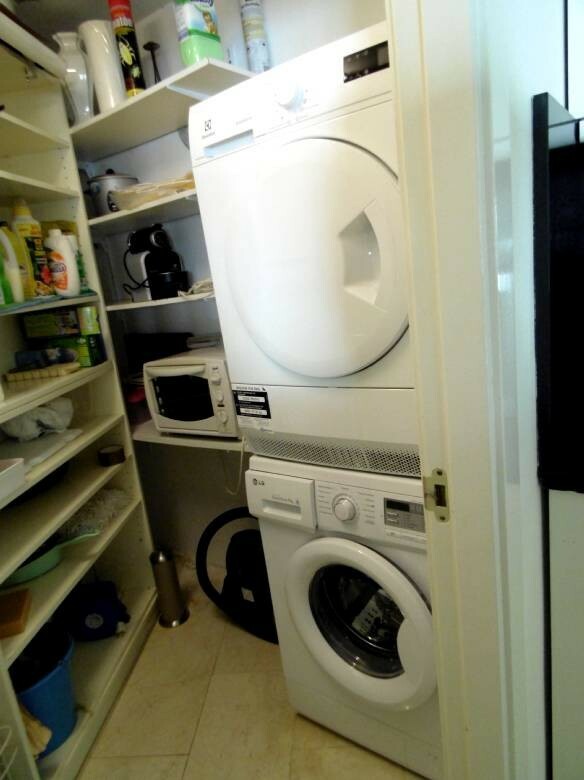 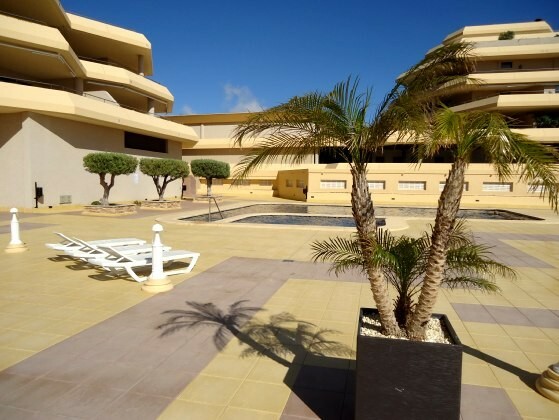 and one with a double beds 160 x 200 cm, two bathrooms 1 with a bath and 1 with a shower, washing machine, dryer, large living with flatscreen TV, Wifi, kitchen with dishwasher, a very large terrace with a magnificent view, garage, 2 pools, 24 hours security. 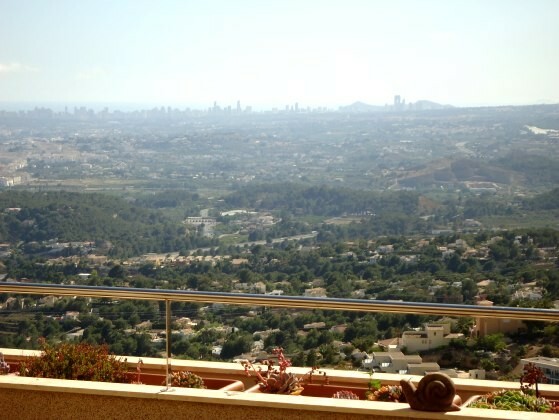 From November till April it is 400 a week or 1200 a month exclusive electricity.